So this is a build I did for my girlfriend, Taber. From the moment we started dating a year and a half ago I made it very clear that I was a gamer and that I would eventually transform her into a gamer! She had played a few console games before this and her old computer, which was an old Quad Core HP laptop was a pain to run LoL and her favorite steam games (Skyrim and Oblivion). When she got the money to build a computer she came to me and gave me a budget of $650 and told me to build her something, "Cute". She picked out the case and said I had to build around this which I was completely fine with because the case I currently have is an NZXT and I love it! Also, the case on the left is mine which I will be doing my build photo's and part's list very soon! :D Let's get into the parts! 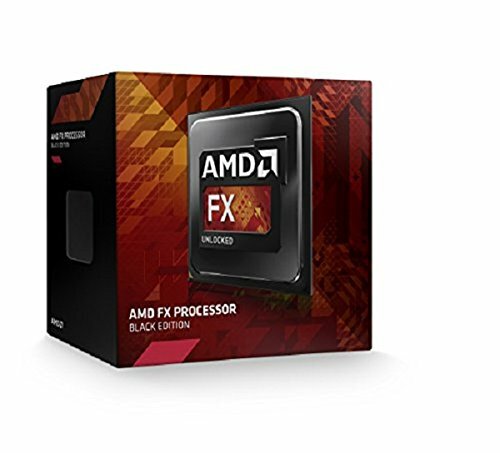 CPU: AMD FX-6300 - I have an i7 in my computer and love it but with the budget given I looked into AMD and found this gem. I watched countless videos on reviews on the 6300 and it was either a duo core i3 or the 6300. My girlfriend wants to get into streaming and do some video's on her new PC so I decided to go with the 6 core! Plus being clocked at 3.5 GHz is a bonus! Mobo: MSI-970-G43 ATX AM3+ - So this was a high rated motherboard on almost all the sites that had reviews over it. It also has a 4.3 rating on this website which I trust the most :D. The front panel USB 3.0 headers were a good plus since the case came with front panel USB 3.0's! It also supported up to 32GB of ram, which she will never go up to and it was cheap! GPU: Sapphire Radeon R9 270X 2GB Dual-X - So this was something I didn't plan on until the last minute when it went on sale. I had originally planned to get her an MSI 270 Gaming Edition because it was $170-180 and the reviews on it were great! But the day before we were suppose to order the parts the Sapphire came on sale and I figured if it was cheaper and it was a 270X, you can't go wrong! :D This thing will be able to run every game on high to ultra settings she wants to play in the future as well! Sorry for the lack of pictures of the GPU. I forgot to take pictures of it when I took it out of the package because she really wanted to get it all installed and to start playing so I wasn't thinking and forgot! Forgive me! 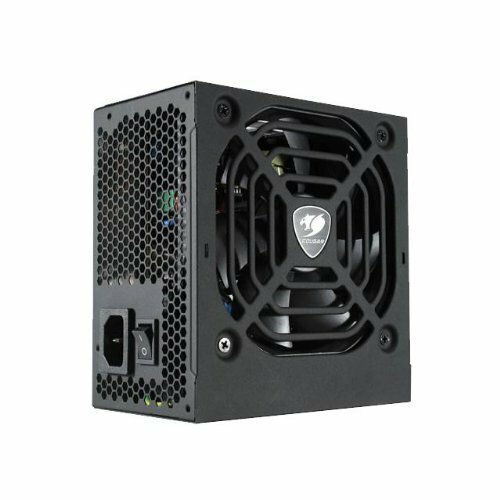 PSU: Cougar 500W ATX - So this was a cheap PSU that was 500 Watts which is more than enough for her. She wont be doing Crossfire anyways because the PSU isn't big enough for it. The brand was my only concern for this build but the rating on here says it is a 4-5* PSU and it should work perfectly fine because there will be no overclocking going on anyways. The other sites that I saw this PSU rated it somewhat highly so I am not very worried. 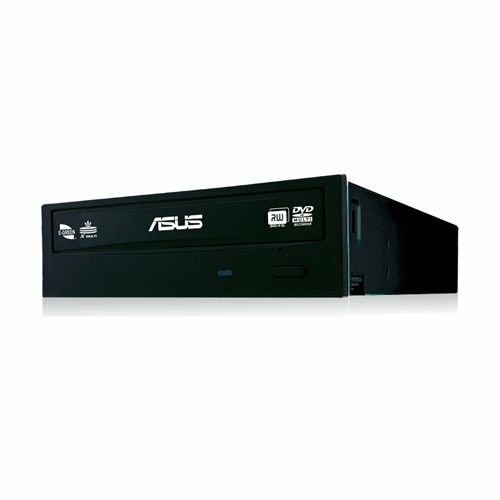 Optical Drive: Asus Drive - I have an Asus drive (same one) and it works well and it does its job well! 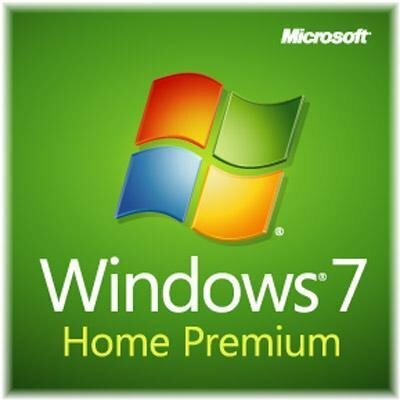 OS: Windows 7 - So the OS didn't cost anything because we both go to KU so we get a copy of Windows 7 or 8 for free for being a student! Great bonus! Keyboard: CM Storm Devastator Combo - Coming from a laptop she obviously needed a Keyboard and Mouse so this combo was cheap and was rated highly. She doesn't need a mechanical keyboard or an expensive mouse anyways and, "It lights up blue and it's really cute!" - Taber, so we had to get it for her! No problems with it at all so far! Monitor - She needs a monitor because right now she is using an old 19" TV that is 1366x722 or something like that, so it is not the best but for the next 2 months it will work until she gets a new one on BlackFriday for cheap! Pink LED's - She wants Pink Lights for the inside of her case to help accent the blue of her fans and keyboard. This is where I could use some help because I am having trouble finding a good source of Pink LED's that aren't of terrible quality or really expensive. All of these we are looking to get for her during Black Friday or some major good sales! Any recommendations are very welcome and greatly appreciated! Any recommendations on the cable management or anything like that would be great! This is my 3rd PC I built and I am officially hooked! This build was very fun. She learned a lot of things about computers and it was a great thing to do with someone that is so important to me and I am sure we will both remember it for a long time to come! I will update pictures whenever something new is installed! Enjoy the pictures of Al The Fat Cat, as we call him and enjoy the pictures of the build as well! Thanks for checking the build out and feel free to ask questions about anything. Have a great day everyone and happy building! Edit: 9/20/14 She finally found a monitor she liked! She doesn't like my duel screens that I have set up for my system so I suggested going with 1 bigger monitor to counterbalance the duel screens. This is a huge upgrade from her 19" TV she had been using for a few months. She is so crazily excited to play Skyrim and League on this thing and things look amazing on it! Nice build for the buck. Ya! For most of the builds on this site don't have people in them which I don't mind I just thought it would be fun for her to pose with her parts! Actually the cats usually build the computer, to use as a throne of course. That is true. He usually just lays around but when I got all the parts together, he started meowing and wondering what we were doing! That would also be accurate. Would you mind looking over my build? and giving me any tips or opinions you have? Sure! Want to link it? This is what I came up with. I changed the case to something with a side window and it is actually cheaper and better rated. It also has USB 3.0 headers so you will have those as well! I wasn't sure if you wanted a side window but since you had 2 green fans I just figured you wanted some light to be shown through! But you can always change it to something without a side window of course! Everything else looked good! I changed the GPU to a Gigabyte 280 because 1. It is currently cheaper which is always good. 2. It is clocked higher which means some better performance without before overclocking. 3. I have a Gigabyte 770 and love it. So quiet and cool! I would defiantly recommend Gigabyte to anyone looking for a new card! The PSU is good and is semi-modular which is always nice for cables! Everything else looked good to me! If you have any other questions feel free to comment again and I will do my best to help out! Cat: 8 year old cat named Al! My girlfriend adopted him 6 months ago from our local shelter and he has a ton of personality. He weights 15-16 pounds but he is a huuuuge cat! His paws are massive! Thanks for the comment and the +1 for the budget! dawww so adorable. i got my two cats from the animal shelter. one from hawaii one from georgia. very sweet cuddly cats :3. good luck on your guys' gaming! Thanks! I spent a ton of time making sure all the parts worked well with each other and that she got the best performance for her money! And the cable management could be better but she really wanted to start playing! Thants! :D I tried my best and the semi-modular PSU really helped! She is still learning LoL and I am not the best teacher but I've been playing for while so she is getting the hang of it! Thanks for the comment and +1! Ya the 760 is definatly better but given the budget that I had and she needed a new computer before school started so the 270X it was. I am happy with it so far and it should serve her well! Also, Al is an awesome cat who does nothing but sleep and eat all day! He helped with the build! I would go with the 780ti. I have a 770 and love the performance. I am in no way a Nvida Fanboy but the overall reason I would go with the 780ti is because of the high ratings and the future proof that can come from the card itself. The 760 Mars sounds cool becasue of the two 760's together would be mighty powerful but the amount of heat it would create would be my concern, plus anyone would tell you that one GPU is always more reliable than a an SLI or Crossfire build simply because some games get confused and are not optimized for Dual GPU configurations. Finally the R9 290X is a great card and I am sure it would be perfect but another thing to consider is heat so anything like an ASUS or a Gigabyte Windforce edition would be the best bet but then again I know the 780ti is an amazing card and everyone that I know that has one has loved it! So really I think it is between the 780ti and the R9 290X. I would look at price first since that is usually the biggest constraint and would be the biggest point to get one of the other. The next would be how much heat one card creates over the other since the more heat and power would result in the card being louder (which the 780ti wins on both of those scales). My opinion would be the 780ti but do some more research and find which one you like more and I would always suggest Gigabyte or an ASUS model! So i look at some video and some review im planning to get EVGA gtx 780ti ACX cooling. And direct cu 2 r9 290x . Both card temperature is average on full load cuz both have aftermarket cooler. and the preformance wise of both card is having alot of different. So my choice is 780ti cuz the graphic card will be my birthday present.So i have no concern on the budget on graphic card (but i obviously cant get titan or titan z: P) About the gtx 760 MAR , my cousin actually have it becuz he can't afford 780 ti.the temperature is 72c on prime 95 . Which is acceptable. The preformance is not as good as 780 TI. But i wont take it becuz as u said, never go wif SLI so. i bought 780ti. im ordering now. So both are pretty similar in comparison? I would then go down to support for each card. I love Nvidia Shadowplay and the GeForce Experience updater is great for games! I am still figuring out the support my the AMD side of things with my girlfriends card but you have to remember it is a 270X and not a R9 290X so performance will be much greater. It's up to you and your budget too. One big advantage to think about is the 4GB of Memory the R9 290X comes with while the 780ti only has 3GB. I have a 2GB 770 and it handles 2 monitors no problem so if you plan on running anything more than 2 monitors the extra Memory will come in handy! I'm glad I can help! I did months of price comparing and benchmark planning for my girlfriends build and also for my own build. 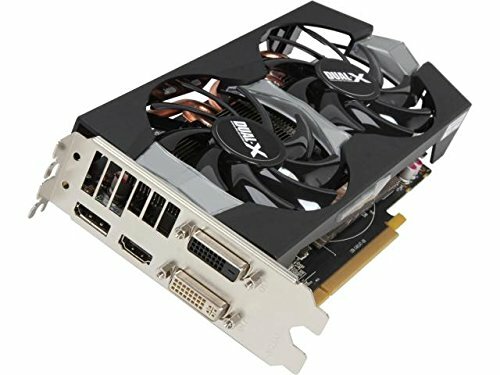 Comparing GPU's and CPU's together. To produce the best out come for my situation! Do the same for yourself and your build! Have a good night and good Friday! Oh ya! :D Love them! Ya I think my favorite is Televisor! They all are pretty good! I love all of Monstercat! I know I am pretty good looking while I work on computers...oh the build. Ya...It is nice! Thanks! We both love Monstercat! Glad to see another fan! PLUR! I really hope they have their tour come to Texas so I can go. I know I have a bunch of friends who would go on a little road trip just to experience Monstercat artists live! Upvote for pegboy nerds and monstercat. Awesome build too. Thanks man! Love me some Monstercat! I am doing a very similar build (: Keep up the good work! Does the build come with a cat? Your kitty is having a hay day! I found your build searching for fellow fx6300 builders. Very nice! This build has a great cat. He is a big cat but he is a great kitty who sleeps all day and relaxes! Good build for the price! While not a necessity, I would look into getting a cpu cooler such as an evo or hyper 212. Usually $20-$30 after rebate and it will give piece of mind. Other than that looks pretty good! Hyper 212 is too large? Damn, it's relatively small compared to most air coolers. You could save up a bit (50-70 bucks) and get a corsair or antec AIO water cooler. Or, if you don't want to overclock much, you could get a low profile cooler such as the Noctua NH-L12. Ya that was my other option. When I added it to the part list it said it wasn't compatible with the case. I will have to look more into it and I don't think she needs a water cooler since she doesn't overclock at all. Any other suggestions are welcome! Thanks! Might want to change that PSU right quick. Cougar isn't a very reputable brand. Thanks! :D Glad you liked the build and our Monstercat stuff! Thanks for the info! I think the PSU will serve her well for some time. Maybe in future upgrades I will get her a better one but for right now I am happy with it! Thanks! It was great time! Love the personal touch, great build and I hope you two have fun gaming together! Thanks! We are going to have a some great times streaming and playing together! Ya she does that. On top of being a huge Lord of the Rings fan, she can also turn into a cat at random. Have to love that 6300, it's a great way to get a lot of bang for your buck in the CPU department. Even better if it gets overclocked. You always have to have pictures of cats, cats=better build! Surprisingly good! The build quality is good and the mouse is great! The backlighting on the mouse and keyboard is bright and can be turned off if need be! And here is a link to the Red Version from Amazon! Anything with a cat in it is awesome. There should be a law that all tech pictures have cats...or puppies in them. That is a big plus! My girlfriend just tried Skyrim and she is loving it! I plan on maybe playing some skyrim. (I am waiting on a few component s in the mail) What fps do you get? How does the processor do without a CPU cooler? Thinking about getting this same exact build and was wondering how it does haha. Thanks, and great build! Pretty well actually! Not to loud and the temps are good. Not exactly sure what they are because I haven't gotten around to test them but I would invest in a CPU Cooler anyways to improve lifespan of the CPU itself anyways. It's a cheap way to save money in the long run. Looks nice and that is an amazing cat. Do you absolutely need a 2nd monitor? Could you use a tv or something to substitute it that way you can put more into your GPU for better gaming. Then around Black Friday pick one up for cheap! Not getting the monitor now would benefit in the long run. That is just my opinion though. 8GB of RAM is good for rendering and is at this point essential for gaming. The 270 is a great card and the WindForce Edition is amazing as well. Everything else looks good. Maybe see if you can find Windows 7/8 for somewhere cheaper too. Also, the PSU was really bad so I changed that out too. Don't skimp on that because it can make or break the build. Thanks for using your time to check it out. Really. I was looking for a better PSU and a cheaper Windows 8. I could get an extra monitor from school. They throw them out every year and get brand new ones (that are the same) for some reason, great way to waste money. But really. Thanks for checking it out. Ya no problem! Hope it all works out! Message me if you need some more opinions or some help with anything! Happy building and I can't wait to see the final product! She hasn't gotten a monitor yet. I have two 24" screens which she hates. She want's something that is under 22" and is under $100 also. She is currently using an old TV that runs in 720p which works for LoL and Skyrim but I told her she needs to upgrade to 1080p ASAP. When she has the money I will find her something. Taber seems pretty exited... lol. Nice build. She was! It has been serving her quite well! She is loving her Skyrim Adventures! Hey how fast is your internet browsing with this build? Also what are your thoughts on the FX-6300. Cooler Master TX3 is always a cheap cooling option, may look small, but its good! If you want lighting, get the NZXT hue. It fits in a 5.25 in bay and has knobs to adjust the colour. What is up with that cat!?! It's good to know the parts used for this build are compatible with cats. Did you have to have a BIOS update to use the 6300? did you have to update bios? I need to update her drivers. I haven't in such a long time! Yeah, I haven't touched anything on it since I installed everything like a year ago haha I think I'll update her video card drives soon! I might do an updated build for her since its been 2 years or so and she wants some more parts! Yeah, I am going to get her a CPU cooler soon. The AMD one has been fine since she hasn't been taxing it too much now. We are getting a place together soon so that way I'll be able to work on it whenever I want! I think the Hyper T2 is a good choice since the 212 doesn't fit this case. Since you are running the 6700k I would look into water cooling sometime soon so you can overclock if you'd like to do some video or photo work. this build look great and i think i might use it. I would update it a lot. This build is pretty dated. Except my budget is awful and I'm still in high school ._. I would suggest looking into the 8320 if you can find the money. The 8 cores will help with future games and just give you some more wiggle room. The motherboard just needs to support overclocking and you can turn y our 8320 into an 8350. Have fun with it! Save up your money and get something that will last you awhile! 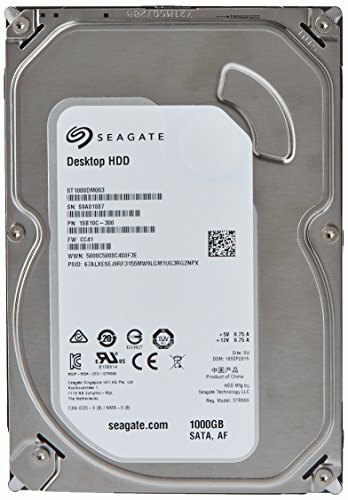 I am just now thinking about upgrading my 770 after 3 years. +2 Million for C-Jay on the case!!! I'm a current student (graduate this spring).... Nice to see a local on here. great build but had to give -1 for the cat. Seriously? Way to abuse the point system. We're supposed to be rating the build, not the random fun things that go into the pictures. PCPartpicker to me is a community of people rather than a website. I had fun doing this build and it was a learning experience for my girlfriend as well as me. We had a ton of fun building it and ya maybe there are a few to many pictures of the cat but he wanted to check out what we were doing and I thought it was fun. I hope you understand where I am coming from because I understand where you are coming from and I just ask that you look at peoples builds as a part of their lives rather than a machine. The builds I see on here are fantastic and I didn't post the pictures of the cat in order to get more up votes or to abuse the system. This is my first build I have posted and we were having some fun with her first build. I appreciate the comment but I just wanted you to know that I never intended to "abuse" the point system at all. If you have something to say about the build I would be more than happy to try and answer any questions you have about it! Other than that have a good night and good Friday! I hope you realize that I was actually talking to Mr. Craft3maker. I love your cat and I actually UPCVOTED your build! When I said he was abusing the point system, I simply meant that he shouldn't downvote for someone's cat, but rather based on the build itself. I can see how you thought that I was referring to you posting a picture of a cat to abuse the point system, but the opposite is actually true. I love it when people include cats, dogs and other animals into their pictures. It gives the build more personality and it's really just a fun thing to do! Again, sorry for the confusion, but I was actually referring to your downvoter abusing the system. Glad you liked the build and thanks for the comment! I'm glad we could work this misunderstanding out! WHOO! Kansas PC builders! I live decently close to the campus, I like seeing other PC builders from the same vicinity, since there aren't a whole lot out here it seems, or maybe I just don't look hard enough, but cool build! I hope to be starting my second build here pretty soon.